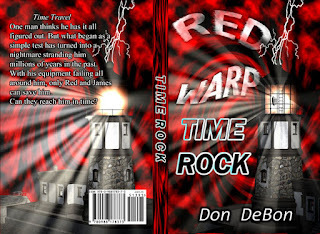 Don's Dimensional Shift: Time Rock Print Edition Releases Friday 26th! 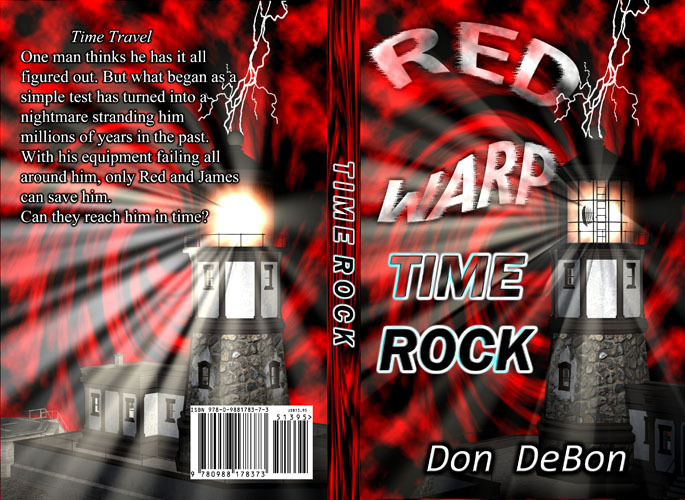 If you haven't heard before, Time Rock print edition releases a week from today Friday the 26th! You can pre-order and SAVE at Barnes and Noble, or your favorite book store! "Professor, I don't think we are in Kansas anymore," Trisia said wide-eyed. "What do you mean? We never were in Kansas!" "Well umm come look." She said pointing out the doorway. The temporal energy field continued to shimmer just beyond it, blocking the exit. Keleeigan walked over and gazed out at the sand and enormous mountain of stone that formed a pyramid shape in the distance. "It would appear that the temporal matrix is more unstable than I thought as we traveled a great distance as well as time." "We are in Egypt!" Kim exclaimed. "Not just Egypt, ancient Egypt about 2545 BC I should think judging by the Great Pyramid finished and the next one under construction. That makes this the reign of Khafre, one of Egypt's most tyrannical pharaohs from the old kingdom. Although they didn't call them pharaohs back then." "Oh no! Look! I see someone walking, they will surely spot us and we will alter history!" Kim said as he pointed to a worker walking across the sand. The worker seemed to pause for a moment to look in their direction, then continued on his way. "Hmm you would think they saw a lighthouse every day." "I suspect we haven't emerged from the temporal field quite enough to actually be seen." Trisia's eyes widened further. "You mean we aren't actually here?" "Oh we are most certainly here. But they can't see us. And this is very bad." "Why? We made it here, can't you just give us a boost and emerge when the power cell recharges?" Kim asked as he turned to face the Professor. Keleeigan sighed as his eyes drifted down. "No." "Because the power cell is fighting to maintain this field. And if I shut it down, we will be forced back into the warp." "Isn't that good? We could head back home." Keleeigan shook his head. "No no, you don't understand. Based on my research, we would be trapped in the warp ... forever. The power cell will never be able to pull us back out if we shut down now. Thankfully it takes less to maintain the temporal field than it did to create it in the first place. Sort of temporal inertia, but the power system is fighting a loosing battle. It will give out and soon. Then we will have no hope of exiting let alone returning to our own time." "Professor I think we have an even bigger problem." Kim said as he looked over several consoles. "If I am reading this right, the field is also very unstable it could shift at any moment." Keleeigan walked over and checked the various instruments several times on the console. "You are right. I sure hope they can find us before we slip back into the warp." "Who?" Trisia asked as a panel sparked than another before the whole building shook. "No time! We are jumping! Hang on!" Keleeigan said before the view of Egypt with its Great Pyramid disappeared being replaced by a large wall.